The Hopkins Observatory was dedicated in Williamstown, Massachusetts. A 720 gram meteorite hit Uden, Netherlands, landing with a thud just a few meters from a group of laborers who were cutting peat. The Black-McKellar Bill was passed, which caused William Boeing's aircraft empire to be broken up into Boeing United Aircraft [Technologies] and United Air Lines. C. Jackson discovered asteroid #1394 Algoa. NASA launched X-15A RCS check, M=5 Test mission # 57 in which US Air Force Major Robert M White took the X-15 to 56.266 km and achieved a maximum speed of 5660 kph (Mach 5.02). NASA Administrator James E. Webb ruled out a Mercury MA-10 launch because the program goals had been reached. Consequently Project Mercury, America's first manned space flight program, came to a close after 4 years, 8 months, and 1 week. 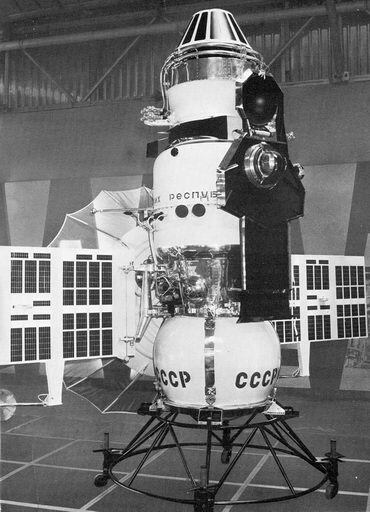 USSR launched Venera 4 toward Venus, the first spacecraft to successfully return data from Venus' atmosphere. Venera 4 was launched 12 June 1967 from a Tyazheliy Sputnik (67-058B) towards Venus with the announced mission of direct atmospheric studies. On 18 October 1967, the spacecraft entered the Venusian atmosphere and released a capsule with two thermometers, a barometer, a radio altimeter, an atmospheric density gauge, 11 gas analyzers, and two radio transmitters operating in the DM waveband. The main bus, which had carried the capsule to Venus, carried a magnetometer, cosmic ray detectors, hydrogen and oxygen indicators, and charged particle traps. Signals were returned by the spacecraft, which braked and then deployed a parachute system after entering the Venusian atmosphere, until it reached an altitude of 24.96 km. NASA launched X-15A WTR/SA TPS/HS/FAB Test/Technology mission # 195 in which William H. Dana reached a maximum speed of 5734 kph (Mach 5.15), and a maximum altitude of 67.086 km. T. Smirnova discovered asteroid #2216 Kerch. NASA launched the Nimbus 6 weather satellite into orbit from Vandenburg Air Force Base, California. Nimbus 6 was launched 12 June 1975 for environmental research. The experiments selected for the satellite were the Earth Radiation Budget (ERB), Electrically Scanning Microwave Radiometer (ESMR), High-resolution Infrared Radiation Sounder (HIRS), Limb Radiance Inversion Radiometer (LRIR), Pressure Modulated Radiometer (PMR), SCAnning Microwave Spectrometer (SCAMS), Temperature-Humidity Infrared Radiometer (THIR), Tracking and Data Relay Experiment (T+DRE), and the Tropical Wind Energy conversion and Reference Level Experiment (TWERLE). This complement of advanced sensors was capable of mapping tropospheric temperature, water vapor abundance, and cloud water content; providing vertical profiles of temperature, ozone, and water vapor; transmitting real-time data to a geostationary spacecraft (ATS 6); and yielding data on the Earth's radiation budget. 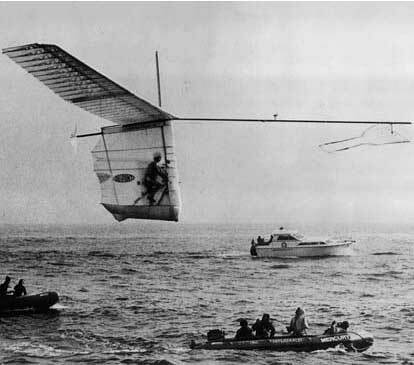 Bicycle champion Bryan Allen pedaled Paul MacCready's Gossamer Albatross, a man powered airplane with a 98 foot wingspan, across the English Channel in a flight that took 2 hours 49 minutes. Comet C/1983 (Sugano-Saigusa-Fujikawa) approached to within 0.0628 AUs (5.84 million miles) of Earth. Photographic iamges were captured in which Carolyn Shoemaker discovered her fourteenth comet, making her the most successful comet hunter living at the time. India launched the Insat 1D communications satellite from Cape Canaveral, Florida, positioned in geosynchronous orbit at 83 deg E in 1990-1999; 74 deg E in 1999-2000. McDonnell-Douglas launched a DC-X test mission which featured the first use of the reaction control system thrusters, and demonstrated a change of angle of attack from 0 to 70 degrees. It reached an altitude of 1740 meters during the 132 second flight. NASA's STS 91 (Discovery 24, 91st Shuttle mission) landed after the ninth and final Shuttle-Mir docking.